A picture says a thousand words and we understand the words coming out of this picture. 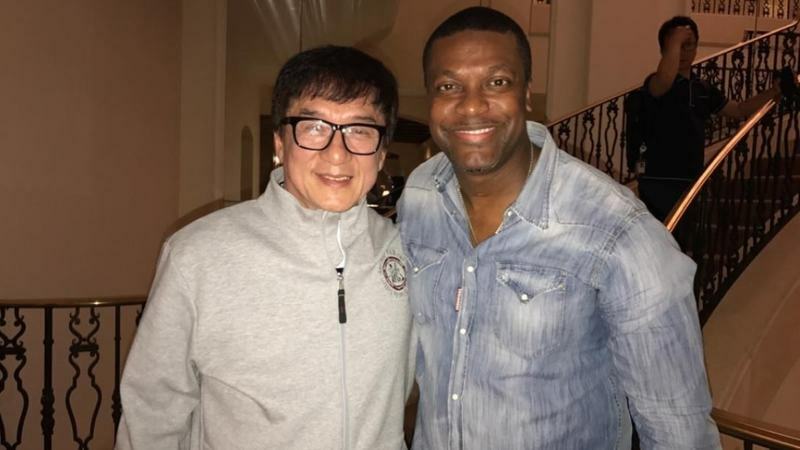 Chris Tucker met with Jackie Chan to celebrate Chan's 65th birthday - we know, guys... we know - and posted a few pictures that were nostalgic for fans of Rush Hour. But one picture had us all excited. Crazy, right? The two are really egging us on to believe that a Rush Hour 4 is on its way! Rejoice by dancing to 'War' by Edwin Starr now! It's been 12 years to the third installment to the Rush Hour series - yes, feel your hair graying - with the first Rush Hour coming out in 1998. While the actors haven't spoken on the matter, the picture is enough for us to be excited and be ready for another volume of one of the best buddy cop comedies ever.